I wanted to hit 100,000 page views on Millennial Boss in September so badly and I only hit 99,000 for the month. So close! I ran ALOT of ad spend at the very end of the month via Facebook and Pinterest ads which was supposed to take me over the threshold but I fell just short. Average time on page still looks good at over 3 minutes even with running all of those ads so I’m really encouraged. For those who are curious: Ad spend was between 5 to 9 cents on Facebook and 10 cents on Pinterest. I also crossed the $4,000 in revenue milestone which is HUGE for me! If you’re new to the site, welcome! In this monthly report, I detail my side hustle income including the strategies I’m using to grow the income and what’s working and not working. All other month’s income reports can be found here. This first section is on blogging but I’ll also detail my experiences with Etsy below. 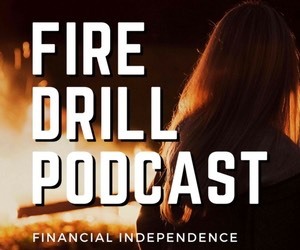 I have a podcast but I don’t include those income and expenses here since I have a partner. Also if you don’t have a blog but are curious about starting one, check out my FREE 7-day blogging course here. First, are Pinterest ads worth it? In last month’s income report I believe I was complaining about the cost of Pinterest ad spend versus Facebook. Well, I just discovered a hack that will make Pinterest ads possibly MORE valuable than Facebook ads for many of us. Note: Facebook ads are still cheaper for me since I can get them down to 5 cents per click but from what I’ve gathered in my conversations with other bloggers, the results I’m getting with Facebook are rare. Most people consider around 10 cents per click on Facebook pretty good. (And of course, even a 50 cent per click Facebook ad could be worth it to you depending on how valuable each click is for you and how much return you’re getting per click). Why are Pinterest ads better than Facebook ads? 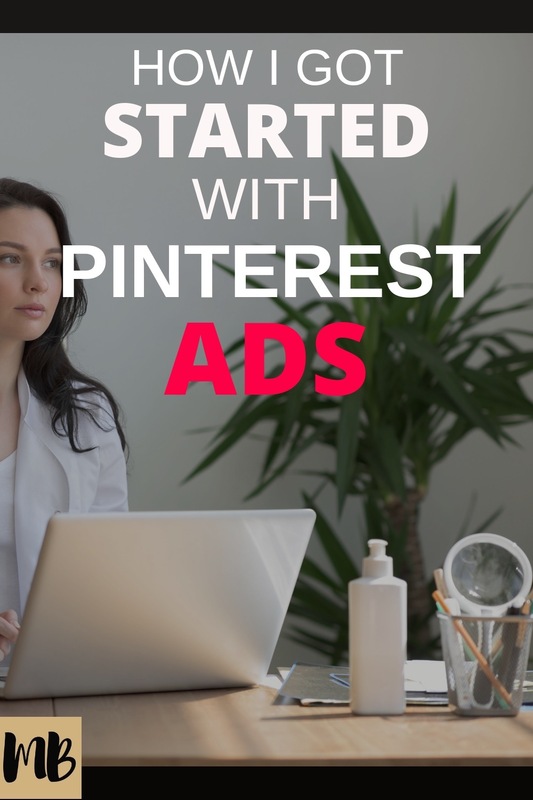 What is valuable about Pinterest ads is that you don’t have to test and hope you get a low cost per click like Facebook, you can agree to a cost per click up front and know exactly what that is going to be. And you can EASILY get that cost per click to be 10 cents up front. To do that, instead of clicking “create campaign” in the Pinterest Ads section, go directly to the pins you want to promote and click the red promote button in the top right. 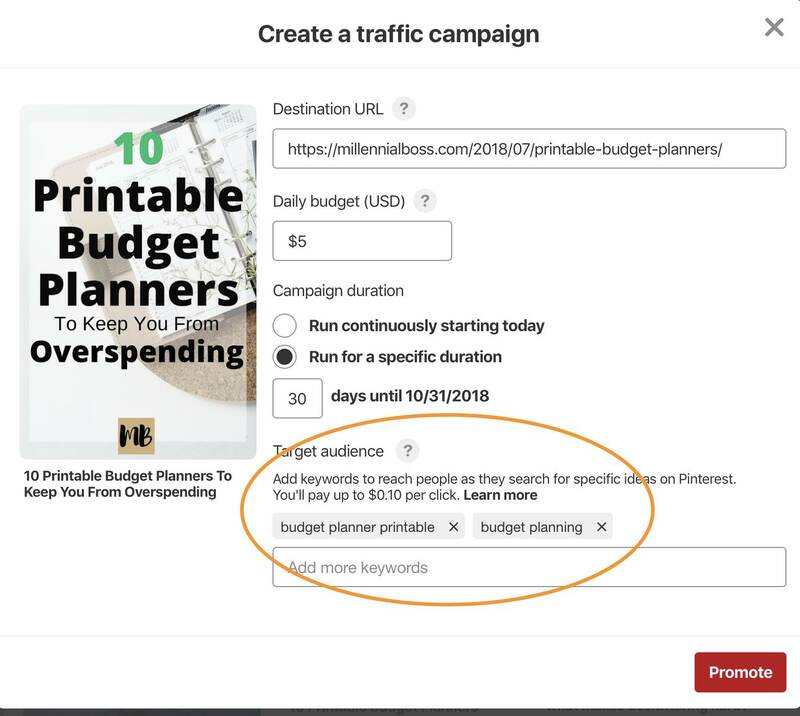 After you click promote, this pop-up appears where you set the daily spend, the duration and set the keywords. NOTE: A bunch of keywords appear on default and you need to delete those and add relevant keywords one by one until the cost per click goes down to 10 cents. What keywords do I promote on Pinterest? The key is to pick relevant keywords so that your click through rate is good and so that the right people who would be interested in your blog post find it. 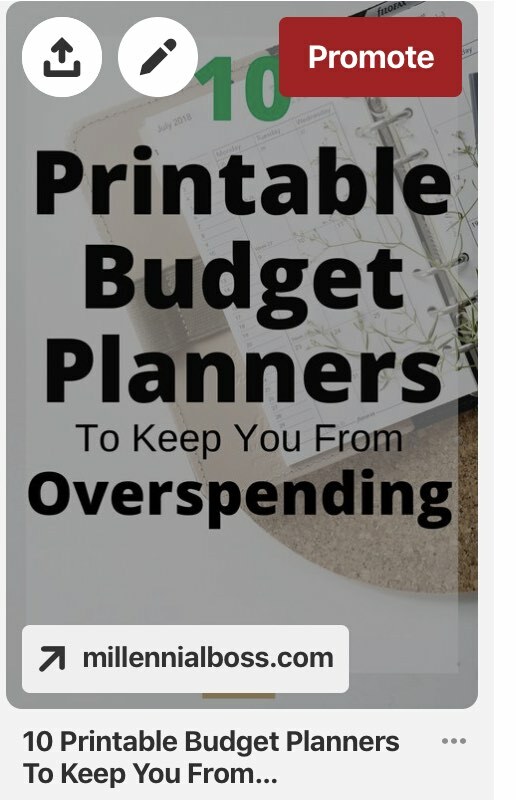 If I’m about to promote a post about budget planners yet I type “saving money” in the keywords box, I’m going to get a bunch of people not really interested in budget planners seeing the pin. Personally, I’d rather put in more targeted keywords and get the right people seeing the pin. Typically I put in 5 to 6 keywords here versus keyword stuffing since I could only think of a handful of super relevant keywords that were also cheap. Sometimes I would put in a keyword and it would change the CPC to 30 cents or something and I had to delete it out. How do I pick which pins to promote? Go into your Pinterest analytics and promote your top most clicked pins in the Profile section. Also promote pins that already do really well with affiliate income already. Last, promote pins that you think will make people stick around on your site for a long time (making up some of the cost per click with display advertising spend since they’re viewing more than 1 page). For example, when I drive people to my about page, they tend to stay awhile on my site relative to other landing pages and people typically view more than 1 page on average. Posts that you think should have done better but didn’t for whatever reason. It’s a good way to test to see what would happen if that post got lots of traffic. Posts or pins that you just published that you want to get going on Pinterest. I’m testing now to see if promoting some of my newer pins now jump starts Pinterest for them. Results inconclusive but it hasn’t been too long. Pins that do better on Pinterest versus Facebook (obviously lifestyle pins, seasonal pins, wedding pins will do well on Pinterest). I did see a 7 cents cost per click when promoting a fall seasonal post. Blogging Revenue is KILLING IT – $3,928! 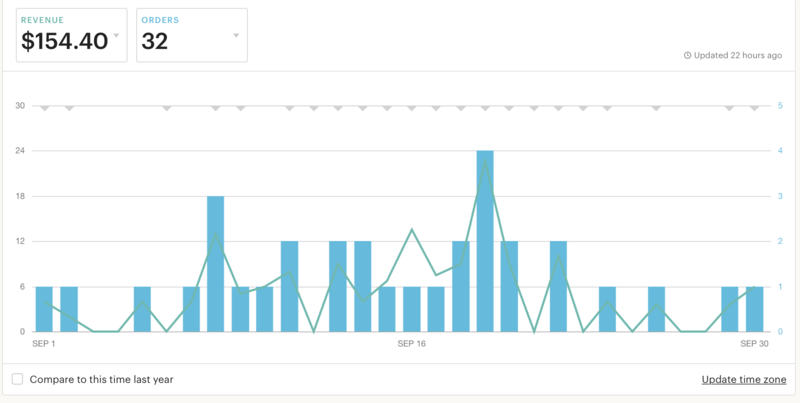 So blogging income was crushing it this month but expenses not so much. I front-loaded a lot of social media and seasonal blog content for October & November though so I don’t consider this cost for Virtual Assistants all of September. Blogging Expenses – go here. The courses I took to get to this income level – go here. 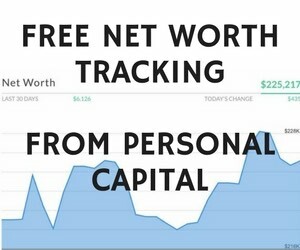 Past income reports – go here. Thinking about starting a blog but not ready right now? Put your email address in below and we’ll email it to you along with our 7-day free course. Any other updates on Blogging this month? 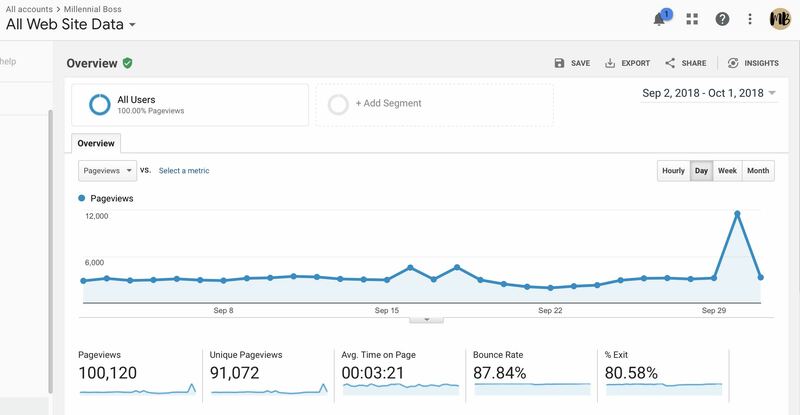 September was an amazing month for the blog! I was featured in Forbes. This was a huge media feature for me and I’m so grateful to be included. 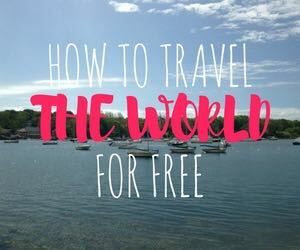 Second, I’m taking this travel blogging course from bloggers Heather and Pete Reese that teaches bloggers how to apply for comped or sponsored travel. I am SUPER excited about this, guys. More details to come but you can check out the course here. I also applied to be included in a database of influencers so travel companies can reach out to me. The course outlines how to do that and I never would have thought of it. 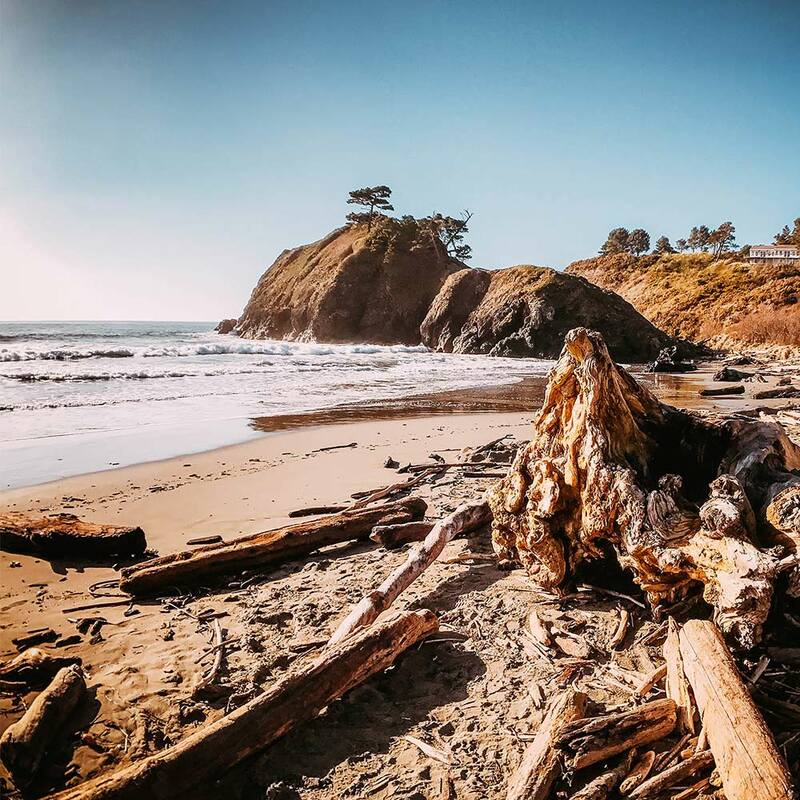 I’m imagining my husband and I traveling all over the Pacific Northwest having amazing sponsored experiences next year. Third, I joined Bobby and Grant’s 6-Month Blogging Mastermind. These two are my millennial blogging buddies and have been huge sources of inspiration for me. I know they’ll help me take my blog to the next level. Last, I went to Fincon where I was nominated for 4 Plutus awards including Best Co-hosted Podcast, Podcast of the Year, Millennial Blog of the Year, and Best FIRE Blog or Podcast. You can see the other finalists here. I went zero for four in wins but was just thrilled to see my name up there with some other content creators I admire. Pics here on our podcast Instagram of the winners. It was also nice to see the podcast recognized since Gwen and I have worked so hard on it and love doing it. I also had an amazing time at Fincon and love meeting new friends and seeing old friends. FinCon is really about the people. Thanks to everyone I talked with at FinCon! You all make blogging fun. Want more blogging tips? 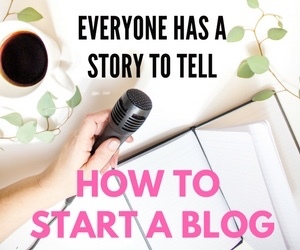 If you’re new to blogging, start here. I do want to mention that Mr. Money Mustache was a keynote speaker at FinCon and raised a really important challenge to the 2,000 bloggers in attendance. He said that bloggers are impacting the financial media right now and in his case, some of his posts actually encourage the media of major publications to both write about certain topics and to spread his take on certain topics (such as when he wrote his opinion on investing in bitcoin and 5 articles were posted on major media outlets right after). We as bloggers have to realize our impact on the media and take it seriously and make sure we always write for the right intentions and for the bigger impact of society. Later, the keynote speaker Chris Hogan reminded us that what we do matters as bloggers. What messages should we be spreading? 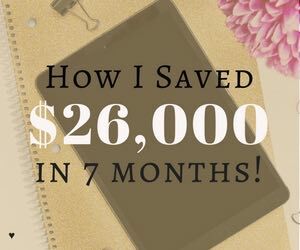 Both speakers made me sit back and think – WOW – what would happen if 2,000 personal finance bloggers got together and started writing about something really good and impactful. What would happen? Now, we’re not all Mr Money Mustache level of influence but it’s cool to think about what 2,000 people could do if they all got on the same page. Does anyone have any ideas of what messages we SHOULD be spreading or what topics we should be spreading in the blogging world? Let’s discuss in the comments. Now on to my second side hustle right now – Etsy. 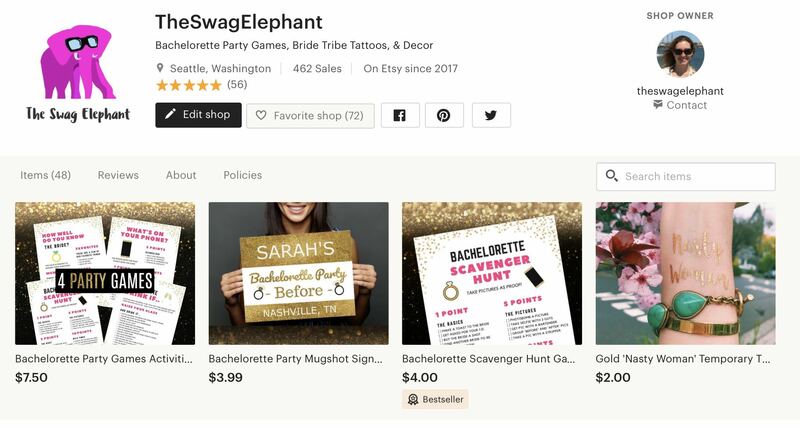 I sell bachelorette party printables and temporary tattoos and more bachelorettes are in the summer than any time of the year. Thus, Income dropped by a few hundred dollars this month. I need to pick something less seasonal. I also saw a handful of orders come in for the tattoos for a super low quantity than usual because my listing for wolf pack tattoos are getting returned in searches for kids wolf-themed birthday party accessories. I typically sell 15-20 bachelorette tats at a time for bachelorettes so selling only a handful for a birthday party is less desirable in terms of overhead. The more you can sell at one time (whether that’s bundling printables into one pack or bundling physical products into one) the better it is for you all around. There is more profit and less overhead in a bundle. You can also maximize on the cost per click of ad spend with a bundle. Instead of spending X for a click on a $5 listing you can spend the same X on a click for a $15 listing. Much better. It cost $104 in fees including a $74 Google promoted ads cost. I need to turn those off when I remember because that took up most of my profit leaving only $50. Last, I no longer have a house. We sold our house this summer and closed on September 4th so I‘m no longer including rental income in these monthly updates. We sold for a pretty sizable profit and walked out with 6-figures in proceeds. This is all thanks to my husband’s hard work and the 10 strategic updates we made when selling the home. We’re no longer landlords and I’m OK with that for now. Fascinating stuff! I feel like I’m missing out. I just haven’t been able to get over the hump about spending money on advertising/marketing. Maybe it’s the inner frugal in me that is hard to break? I JUST tried $20 in free Facebook ads on one post b/c it was free, haha. Maybe I need to just hire someone to do it for me. Do you recommend I spend more on advertising despite having some pretty good organic traffic? I guess how much is enough? Congrats on your 100K pageviews and $4K revenue! Personally, yes I do recommend it. Do you have the Facebook pixel up on your site? You can retarget people to get them on your email list, with your book offer, etc. You can also make lookalike custom audiences to grow your traffic. At the level you’re at, you may be at the “enough” point from doing more stuff but personally I find this ads stuff fascinating. I’ve been intrigued at the idea of paying for visits like this to increase traffic / returns. But it is a risky biz, starting out. FB is tough to “get right”, but have never tried Pinterest before. May do so after hearing about your success. Kudos to you for trying it out!